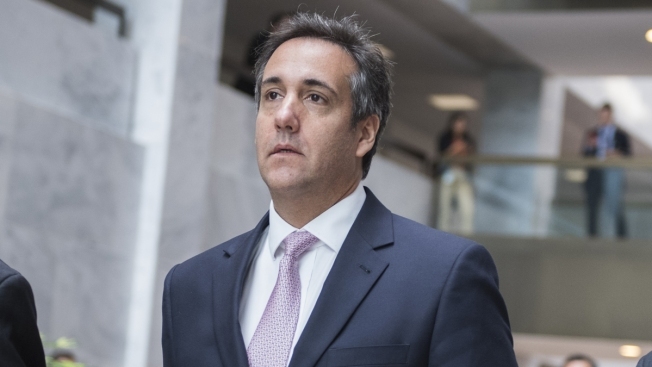 This Sept. 19, 2017, file photo shows Michael Cohen, then a personal attorney for President Donald Trump, after a meeting with the Senate Intelligence Committee was postponed. Federal prosecutors say an IRS investigator in California has admitted leaking confidential details of financial transactions by former Trump attorney Michael Cohen to Michael Avenatti, lawyer for Stormy Daniels, NBC News reported. John C. Fry has been charged in federal court with searching for and disseminating Suspicious Activity Reports (SARs), reports filed by banks when they note potentially suspicious transactions. Federal officials say they found telephone records that indicate Fry placed a phone call from his personal cell phone to that of Stormy Daniels’ attorney Michael Avenatti the day before Avenatti released details of Cohen's financial transactions, and the day after.